Lose weight, gain free speed and stay injury free with this plan. It perfect for the final 12 weeks prior to a race after a decent amount of base training has already been established. This Plan was compiled by All American, Master Trainer, USAT, and TrainingPeaks Coach in Boulder Colorado, Austin Mitchell. This periodized, and primarily duration based plan touches all the training basis such as time, intensity, type, frequency recovery and nutrition. This training plan was compiled over three years as Austin personally researched and tested various workout from many resources. There are several "secret" workouts included that have evolved from world class coaches and several others world class athletes and coaches that austin has learned from. 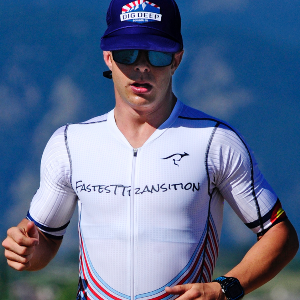 This Plan is very unique for intermediate and advanced triathletes because after completing one "12 Week Peak" cycle, the athlete can increase difficulty level by increasing duration of all workouts by approximately 10%. This plan is primarily use for Olympic distance and Half Ironman events. Doubling the total volume in this plan allows athletes to use the plan for a Full Distance triathlon such as IRONMAN, REV3, Challenge and so on. This allows the athlete to use this training Program and the extremely effective workouts (and recovery techniques) throughout the year without a plateau in fitness or injury. & Activation(mentally flexing the muscle hard) throughout strength training program. Take a "before picture" right now in underwear. It will be nice to compare how your body composition changes in 12 weeks. Highly recommend a Personal Trainer to do an "in-person" movement assessment on you before committing to a strength regiment. You will need to be knowledgeable of you muscle imbalances on your body and be able to practice exercises and stretches to combat imbalances before they become injuries. Although, if a personal trainer is not option, I can analyze your movement patterns via video. Lastly, Triathletes themselves exercise enough, so it is important to effectively gauge your intensity in your strength training program so that your other workout later in the week do not suffer. watch this so it makes more sense why we meed to do this.